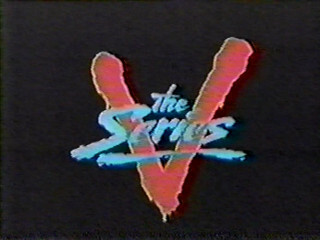 This one-minute recap aired just before the series premiere of V (aka V: The Series) on NBC, catching viewers up on the events of V and V: The Final Battle as well as an introduction to the TV series. The original two-part miniseries was broadcast in May of 1983; the three-part V: The Final Battle was broadcast a year later in May 1984. NBC rebroadcast V: The Final Battle on Sunday, October 14th, Monday October 15th and Friday, October 19th, 1984 leading up to the premiere of V: The Series the following week on Friday, October 26th, 1984. The TV series lasted just 19 episodes.